A beautiful arrangement for a baby boy! 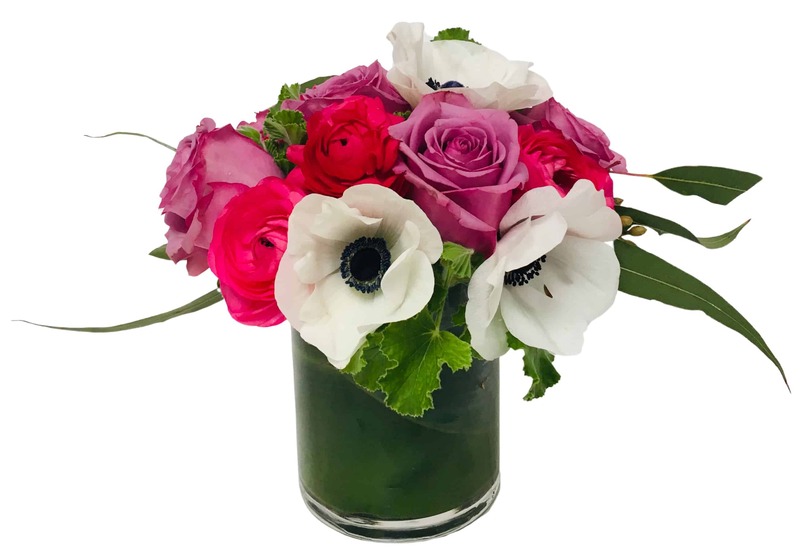 The dark purple Stock represents Manhood or Royalty while the blue Hydrangea suggests a boy and the cream Calla Lilies and Lisianthus display the innocence of the child. The perfect way to celebrate a new life!